What do I wear with: Chio “Vanos” Desert Boot? Each Wednesday we’ll answer the on-going question: “What do I wear with these?” It’s a question we get quite often here at the shop and we love giving suggestions when helping our customers. This week we feature the Chio Vanos. If you love the color green, do we a have a boot for you! 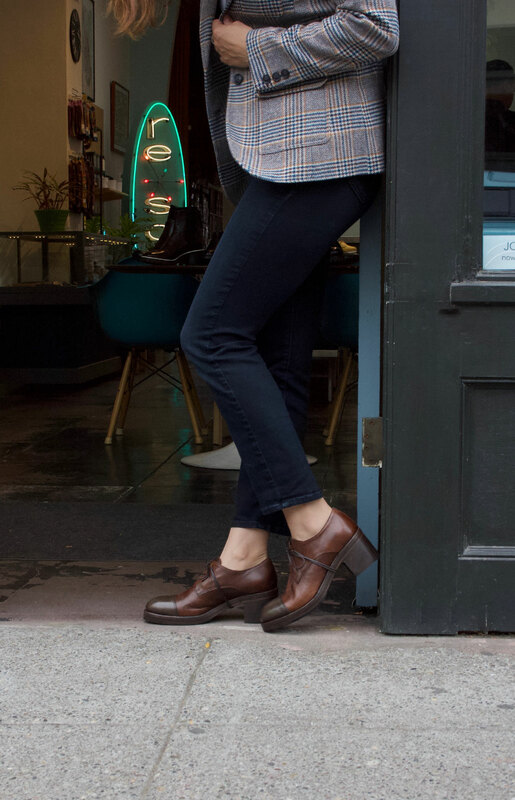 This desert boot is ideal for the transition into spring weather. This is definitely a casual shoe so you’ll want to wear it with your skinnies or cuffed boyfriend jeans. The perfect accessory to awaken your wardrobe from the winter doldrums. Plus we’ll let you in on a little secret…..they’re on sale! > Chio Vanos desert bootie in green leather, made in Spain. > Aunts and Uncles Miss Cookie sling bag in caramel leather.